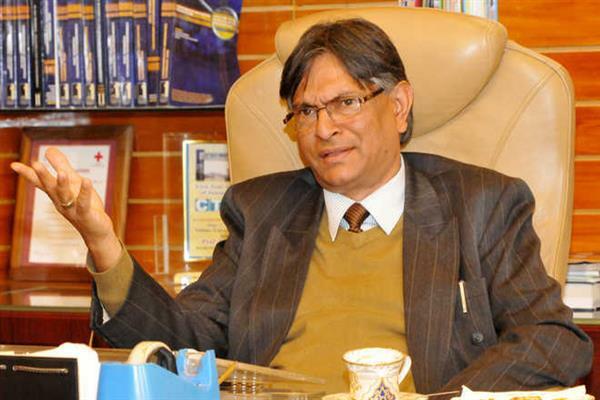 Srinagar, Aug 13 (KNS): Soon after assuming the charge, the newly appointed Vice-Chancellor of Kashmir University, Professor Talat Ahmad has taken a strong note over the delay in declaration of results of examinations, which were held several months ago. Reliable sources to Kashmir News Service (KNS) that the newly appointed Vice-chancellor of the varsity summoned the examination controller a few days ago and asked him about the delay in the declaration of results. Sources said that after summoning the examination controller, the varsity VC has directed the examination controller to declare the results of students who are waiting for their results since long. They said that the results of students who appeared for the annual or bi-annual examinations earlier this year or in the past year have been approaching to the varsity and urging the authorities to declare their results at an earliest. Meanwhile, the final year students who appeared in the bi-annual examinations in February this year told KNS that the varsity officials are forcing them to wait a long for their results, thus leaving the student community to lurch at large. One among the students, Ubaid Mukhtar said that the varsity officials are wasting their precious time. “We are planning to pursue our studies further but unfortunately the varsity officials since past several months are wasting our time by not declaring our results,” he said. The students also appealed the newly appointed VC to personally intervene into the matter and declare their results at an earliest. Pertinently in May this year, Controller for Examinations in the varsity, Prof. Mohammad Yusuf Bhat had stated that all the pending results would be declared by the end of the current month. The results of various examinations conducted by Kashmir University from November to February would be declared in the coming days, reports said, adding that the university has conducted nearly a dozen examinations for various classes including the mercy chance for under graduate and postgraduate courses for which the results are pending from last many months.